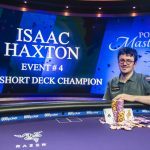 The poker world is witnessing the making of a young star at the 2018 Poker Masters. Ali Imsirovic won his second event in 24 hours, this one a $50,000 no-limit hold’em event, for an added $799,000. 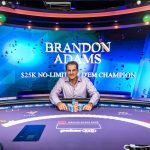 The 23-year-old high-stakes newcomer overtook Brandon Adams in the race for the coveted purple jacket. With only one event remaining — $100,000 NLH — he’s in the driver’s seat. From Rags to Poker Masters Champion? Imsirovic was an unknown around much of the poker community before crushing Wednesday’s $25k NLH final table to win $462,000. Just 24 hours later, and a second title under his belt, he’s now the talk of the poker world. Unlike Wednesday where he entered the final table middle of the pack, Imsirovic began Thursday’s finale as a massive chip leader. He started the day with 3.6 million in chips. No one else even had one million. 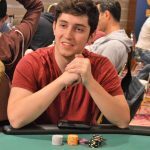 With the blinds forcing the smaller stacks to make a move, he held that huge lead until heads-up play against Koray Aldemir began. And then things got a bit interesting. Imsirovic, with ace-high on the flop, surrendered nearly 20 percent of his stack on a mistimed bluff. Aldemir, holding bottom pair and a flush draw, moved all-in and got a fold. That hand nearly evened up the match. Aldemir then began exploiting his opponent’s over-aggressiveness. Imsirovic bluffed more of his chips away and before viewers could blink, he was in a 2-1 hole. But this match was far from over. Imsirovic won a flip to double-up back into the chip lead. He then won another flip 30 minutes later to finish off one of the top German pros in the game. In two days, Imsirovic didn’t lose a single all-in at either final table. When you’re playing and running well, you’re tough to beat. A humble Imsirovic said afterwards in his post-game interview on PokerGo that he didn’t think he “played as well” as he did on Wednesday, believing that Aldemir “played better than I did.” But he’ll gladly accept the $799,000. The $1.26 million Imsirovic has won in the past two days is more than he had won during his entire brief career. He has cashes dating back to 2015. 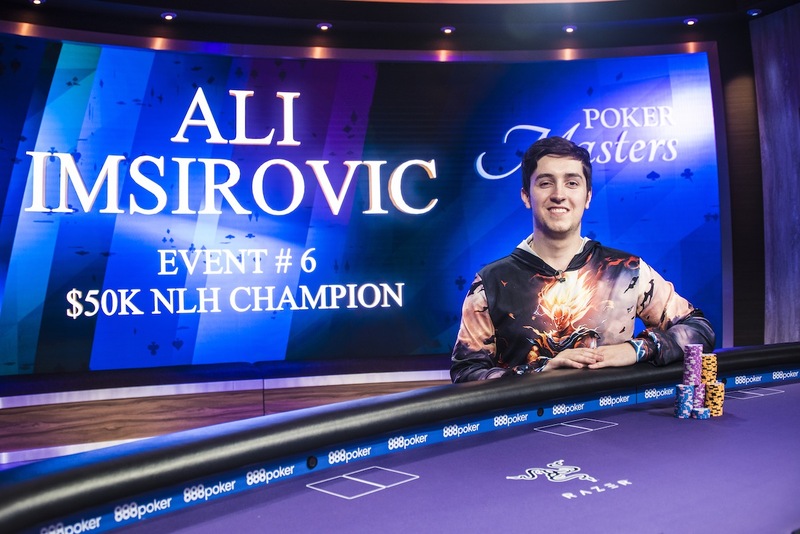 With only the $100,000 NLH tournament that kicked off on Thursday left on the 2018 Poker Masters schedule, Imsirovic is the clear-cut favorite to win the purple jacket with 660 points. But it’s not over just yet. There are four other players who can still mathematically catch the back-to-back champion to win the Purple Jacket: Brandon Adams (510 points), Isaac Haxton (480), Jake Schindler (390), and Ben Yu (360). 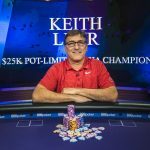 A Poker Masters tournament victory is worth 300 points. It’s not only possible now, it might be probable. Congrats to him; i like when new poker players become famous winning big tournaments; to win two tournaments one after another isn’t easy at all but needs a lot of luck too😜😁. Back to back high roller tournament wins is crazy, that man needs to get himself a lottery ticket. When you’re running hot keep it going 🙂 Best of luck to him to make it a hat-trick in the $100k. Congratulations ALI, it should be an incredible feeling to win two poker tournaments in 24hrs. I will train and study hard for one day to win a tournament too. Really impressive these 2 wins in 24 hours for this Young and new comer to the Masters court.This is the kind of guys that keep the Poker Dream ongoing.